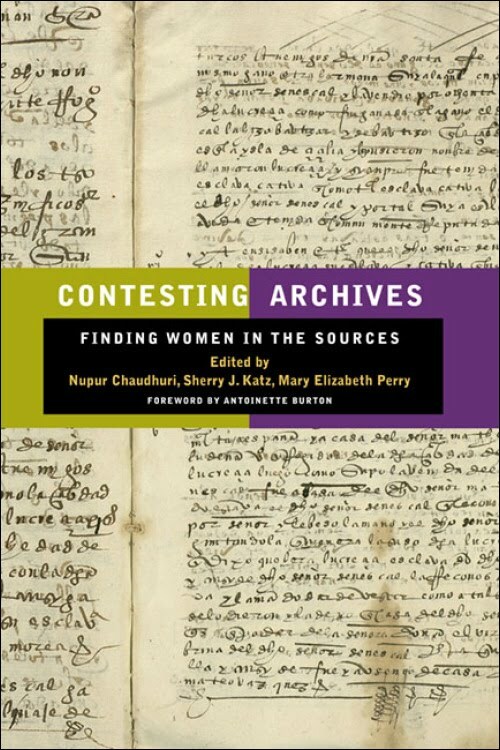 Contesting Archives: Finding Women in the Sources is a set of essays on innovative methodologies for the study of women's history from the sixteenth-century to the present. The contributors have developed and shared ways of approaching archives and documents "against the grain." The Table of Contents gives proof of the book's broad geographic and thematic reach. Edited by Nupur Chaudhri, Sherry J. Katz, and Mary Elizabeth Perry, the book was published by the University of Illinois Press.